We use the GYROTONIC® and GYROKINESIS® Methods to focus on whole body wellness for people of all fitness levels. Whether recovering from an injury, perfecting your golf game, or expanding your athletic training, our trainers are here for you. 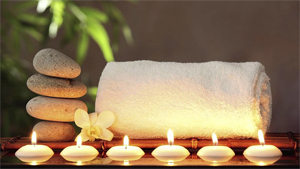 As part of our focus on whole body wellness, we offer a variety of bodywork therapies with seasoned professionals. I’ve had some injuries from fitness and ballet classes over the years. The private Gyrotonic sessions and the group Gyrokinesis classes have been life changing! GYROKINESIS®, GYROTONIC®, GYROTONIC® & Logo, GYROTONER® and GYROTONIC EXPANSION SYSTEM® are registered trademarks of the Gyrotonic Sales Corp and are used with their permission.